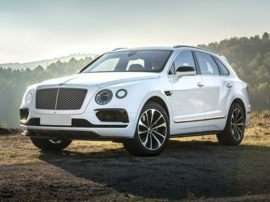 There are fast cars, there are luxurious cars, and then there are new Bentley cars. 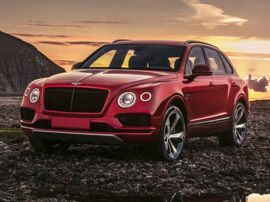 Elevating high performance and luxury to otherworldly proportions, new Bentley cars have the distinction of being the most powerful luxury automobiles on the market today. Founded by Walter Owen Bentley, the first of the new Bentley models was shown at the 1919 London Motor Show. Customer deliveries started in September of 1921. The cars proving exceptionally robust, their owners ran them in hill climbs and a variety of other competitive events. A Bentley even finished Indy in 1922 with an average speed of over 80 miles per hour. Clearly W.O. Bentley was on to something right from the start. Dubbed the Bentley Boys, this group of independently wealthy individuals lived, slept, ate, and breathed Bentley. Avid sportsmen, they built a flamboyant lifestyle around the cars, which included motorsports. When the economy soured, Bentley’s cross-town rivals at Rolls Royce bought the company. However, Rolls Royce found itself on the market in 1998. BMW looked to be the likely buyer, but Volkswagen stepped in at the last minute and outbid BMW. They got fried though, because the deal they made got them Bentley, the then-current Rolls Royce model range, the iconic Spirit of Ecstasy hood ornament, and even the shape of the radiator grille—but not the Rolls Royce name, nor the RR logo. Acknowledging defeat, Volkswagen subsequently sold the parts of Rolls Royce it did get to BMW and put its energy into Bentley. The first of the all-new Bentley cars to emerge was the 2003 Bentley Continental GT. This all-wheel driven wonder boasted a six-liter twin-turbocharged 12-cylinder engine producing 552 horsepower and 479 ft-lbs of torque. A six-speed transmission routed the engine’s output to all four wheels. 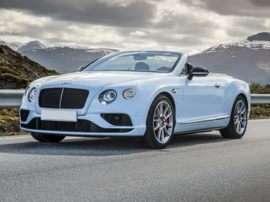 A convertible version of the Continental GT followed in short order, as did ever more powerful iterations of both. The ultimate evolution of the Continental GT models eclipsed the 600 horsepower and 200 miles per hour marks with ease. 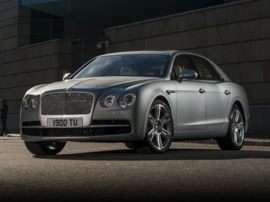 Following the success of the highly luxurious Bentley coupes and convertibles, VW introduced the first new Bentley flagship model in over 80 years—the 2010 Mulsanne. 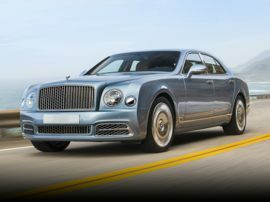 Easily rivaling the Rolls Royce Phantom in luxury appointments, the Bentley Mulsanne also boasts a 505 horsepower, 6.75-liter twin-turbocharged V8 engine, which makes a heart-shuddering 752 ft-lbs of torque.